The entirely elevated section comprises eight stations: Shahid Nagar, Raj Bagh, Rajendra Nagar, Shyam Park, Mohan Nagar, Arthala, Hindon River and New Bus Adda. Delhi, Metro Rail News: The Union Cabinet chaired by Prime Minister Shri Narendra Modi has approved the extension of Delhi Metro corridor from Dilshad Garden to New Bus Adda Ghaziabad. Union Minister Ravi Shankar Prasad announced the decision during his press conference. The total distance of the extended line will be 9.41 km. The Cabinet has also approved contribution of Rs.324.87 crore as central financial assistance for extension at the total completion cost of Rs.1,781.21 crore. 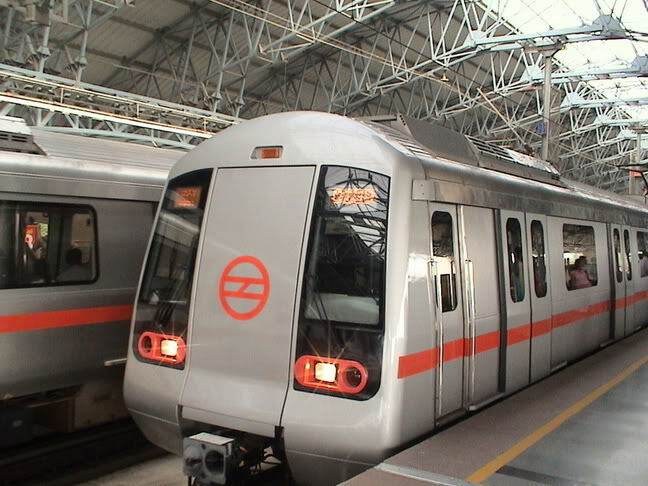 The project is being implemented by Delhi Metro Rail Corporation Ltd. (DMRC), the existing Special Purpose Vehicle (SPV) of the Government of India and Government of National Capital Territory of Delhi (GNCTD). The Dilshad Garden-New Bus Adda line will touch the interior parts of Ghaziabad. The elevated section will comprise eight stations: Shahid Nagar, Raj Bagh, Rajendra Nagar, Shyam Park, Mohan Nagar, Arthala, Hindon River Station and New Bus Adda. The initial trial for the entirely elevated section, having eight metro stations, had started last year in the month of August. This is the extension of the presently operational Dilshad Garden-Rithala corridor (Line 1) also called the Red Line. The total operational distance of this Metro Line at moment is 25.09 km-long and after the opening of the new section, the Red Line span will become 34.50 km. According to Delhi Metro officials, the construction of this corridor was a major challenge as it runs along the busy Grand Trunk Road, which has non-stop traffic throughout the day. Because of which most of the construction activities, including the launching of girders, had to be carried out during night hours, the official said. This would be the second metro line in Ghaziabad and the first metro link connecting the interiors of the city. It will pass through Sahibabad Industrial Area and is aimed at impacting the nearby residential areas. The elevated Metro line will provide connectivity between Ghaziabad and several other parts of Delhi-NCR. Currently, commuters have to rely on last-mile connectivity from Dilshad Garden to reach Sahibabad. Connectivity to Mohan Nagar from Dilshad Garden would also improve considerably, it said. The stations of this corridor have been specially designed with the station buildings on either side of the road and the platform on the central verge along the viaduct. The platforms are not a part of the station buildings, the DMRC said. The platforms are connected to each station building with the help of foot overbridges FOBs on either side. The FOBs have been divided into paid and non-paid area and can be used to reach the platform as well as to cross the road. Only the Hindon River station building is a standard station with a single building off the road and the platform inside the station building. This is the only station where the alignment also has gone off the road, the statement said.